Charitable live painting master class by contemporary British artist Annya Sand. 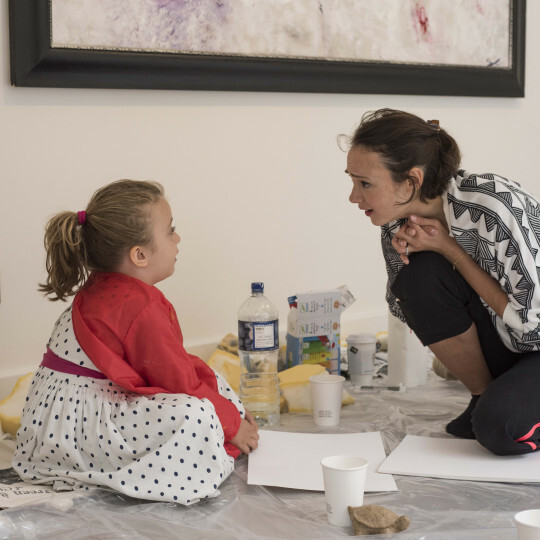 On 20 August, contemporary British artist Annya Sand held live charitable painting master class for children from low-income and single-parent families. The master class took place alongside her new exhibition, the Essence of Colour, shown at Elena Shchukina Gallery in London since mid-July. The Essence of Colour exhibition showcases a selection of Annya's works, tracing her artistic development through the use and interpretation of colours. The use of colour is at the very heart of Annya Sand's work. Ten paintings, exhibited at the gallery, contain all the colours, which the artist uses in her pallet. They give the viewer an opportunity to glance into the artist's private world of colours and tones, and to experience their mysterious atmosphere. 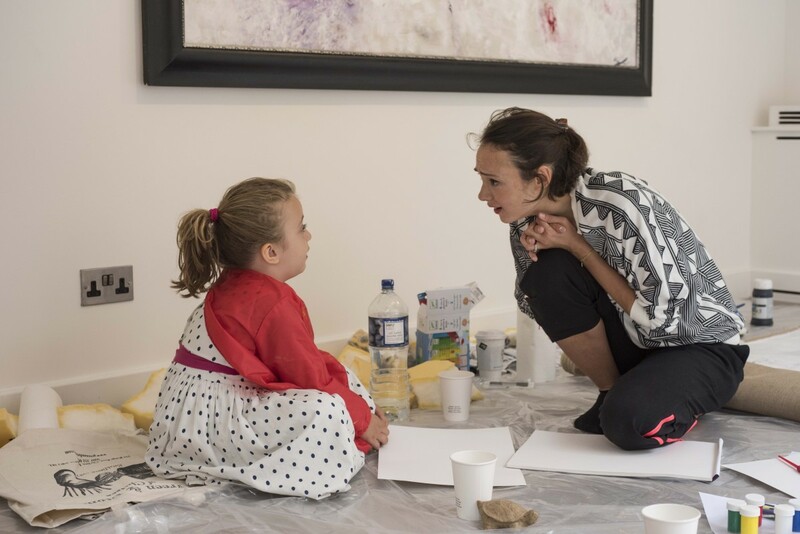 For the live painting master class Annya teamed up with UK charity Gingerbread, which provides advice and practical support for single parents. Annya showed children how she chose and mixed the colours and created her paintings from the blank canvas. She showed children the secrets to her technique and her signature brushstrokes. Annya Sand explains: "I have been working with charities supporting women and children for quite a while. But it is the first time that I had an opportunity to teach children the secrets of my art directly. I specifically wanted to give this master class to children from low-income families, who might not have access to art classes or exhibitions, and who might never experience art in their lives. I wanted to show children how they can see the world around them in colour and how they can introduce colour into their lives. My aim was to teach them how to create something in order to convey their views, feelings, thoughts and expressions."